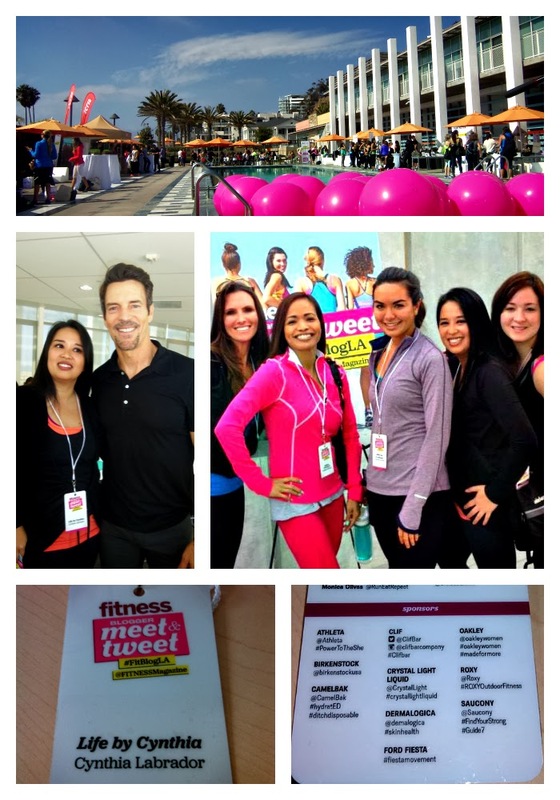 I am still in awe of the amazing event that Fitness Magazine held on the West Coast. I had been envying the NYC events and was thrilled with the announcement of #FitBlogLA. The Fitness Blogger Meet and Tweet was held at the the Annenberg Community Beach House in Santa Monica, CA. The venue was PERFECT for the event. 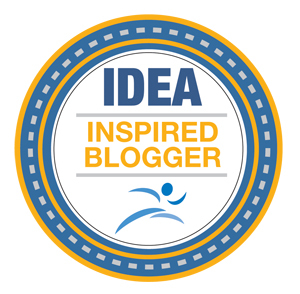 I attended #FitBlogLA with the expectation of being inspired. I definitely got what I expected and THEN SOME! I made a new friends, learned a lot of valuable health tips, and had the opportunity to meet reps of my favorite brands who sponsored the event. If you haven't heard by now, the sponsors were VERY generous with attendees. We have the opportunity to test out the latest and greatest in health, fitness, fashion, and beauty products. I will share more about that in an upcoming post. There will probably be several upcoming posts about my #FitBlogLA experience! I am amazed at how quickly some of the attendees were able to post their recap posts! Now that is some very impressive blogging! FAST! I'm a stop-and-smell-the-roses kind of girl. For me slow and steady wins the race. Truthfully, I'm lucky if I can find time to finish! It has been a week and I am still on a #FitBlogLA high and digesting all of the information presented. Not only that but I have been trying out, trying on, tasting, and admiring all of the goodies that I came home with! I am so happy to report that everything discussed had practical, real world, fit-into-my-life info. No magic pills, powders, or gizmos. I LOVE that. Simple tips from industry experts. Advice that I can easily work into my life. I loved that the attendees and panelist arrived in all different shapes, sizes, and ages. Healthy and fit doesn't come in standard or "ideal" size. There were varying degrees of fitness but one commonality is that we are all learning and living to our most healthful potential. I loved the diversity! I met 20 year olds and 40 year olds. All of them had friendly smiling faces! The energy was positive and fun. I met marathoners, Pilate's instructors, boot camp instructors, registered dietitians, fitness coaches - I even met Tony Horton! I kinda took it upon myself to announce to him that I will be doing a P90X challenge since my husband owns the training program. Did I do that?! More on that later! Thank you Fitness Magazine for bringing the event out West! See you next year? HI Mary, thank you for stopping by. The event was fabulous! It was such a fun day. glad there was an even close to you--looks like a fun time! Pamela, I was lucky in that Fitness Mag brought the event to Los Angeles! I had been following my fave fitness bloggers that went to the #FitBlogNYC and was so happy they decided to do one here too. I had to drive 3 hours there and then 3 hours home. Totally worth it though! I made a friend that traveled from FL to CA to attend! I had a blast. Hi Lolo. It's nice to know that I'm not the only one. I do wish I had more time to get a post up quickly but I like to take my time. Not to mention the week is usually hectic with my job. I do enjoy reading everyone's recaps and love that they can get them posted so fast! I love fitness info. It's always encouraging to hear new tips. Did you learn any tricks for working exercise into a busy schedule? I'd love to hear that. I do step aerobics and sometimes weights in the family room. Can't always get it done, though. HI Lisa - I do too! I squeeze what ever activity I can into my work day. I take walks on my breaks. I know what you mean about not always getting it done - at home it's hard for me to focus on working out. Sometimes there are just too many distractions. Whao..so fun to be at a fitness party.. you must have had a fun time. Dominique it was a great party! You should see the party favors! I'll be posting about that soon! I had a lot fun. Hi Gigi! The day was amazing! The day flew by! Sorry we didn't get a chance to chat. Thank you for the info on the fb group. I live in San Diego but if I ever relocate I'll join in! Great recap! Loved the event. Tony Horton was by far my favorite speaker. So down to earth! Hi Caren! I wish we could have met! The whole day flew by! Tony's energy reminded me of my 3 year old! Happy and unable to sit still, lol. He is the most youthful 55 year old I've ever met! He was gracious enough to chat with me about P90X - great meeting him. Thank you for visiting my blog. On the way to yours now!!! I would love to have gone to that event! What a fun experience. And Tony? I'm a long time fan!